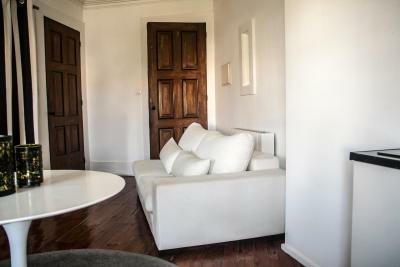 Lock in a great price for Oporto Loft – rated 9.3 by recent guests! 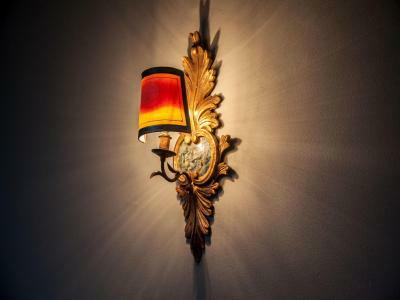 Our host Jose has used his savvy eye to blend modern outfittings with old world style. The breakfast is wonderful! Outdoor garden in back is a bonus on sunny days. 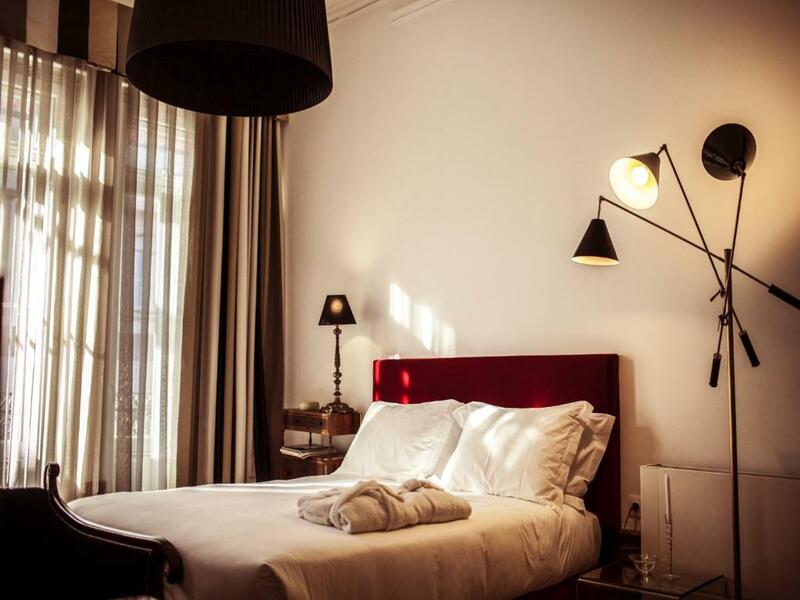 Charming boutique hotel at a great location in the city, near some art galleries and one of my favorite organic grocery stores/cafes). 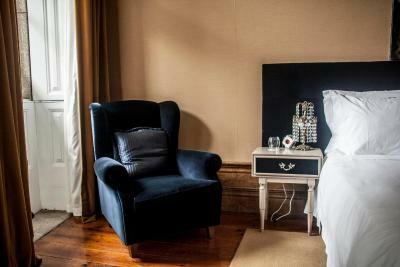 The rooms are large and tastefully decorated. Rooms on the back side are quiet and face onto a lovely garden. The addition of a patio or balcony was a nice touch. While I was only there one evening, it is a great place to hang out and rest between the days activities. 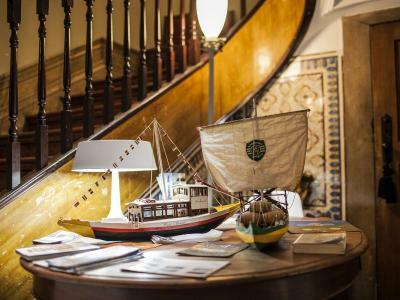 I stayed at this hotel two years ago (the owners were even gracious enough to hold onto a small piece of luggage for me while I walked the Portugal Camino, an excellent touch) and love having it my preferred place to stay when visiting a wonderful city like Porto. We loved this place! Rooms very original and interesting. Owner gracious and helpful. Location away from the madness of the waterfront. We easily walkd to most of the interesting sights. The #1 tram is right down the hill for a trip to the beach for a great grilled fish lunch. The overall service was excellent. The decor was truly different in US standards, The entire complex is a work of art. Bed was comfy and the room was a good size with a little balcony . 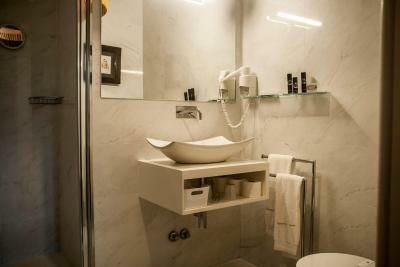 The property is elegant and comfortable. The staff was helpful and friendly. We loved the location--away from the crowds but close enough to main areas to be able to walk. 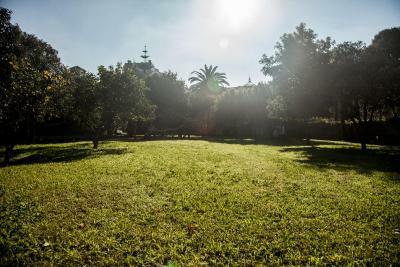 It's also close to a beautiful park with amazing views of the city. The breakfast was sumptuous. The location was ideal for us. 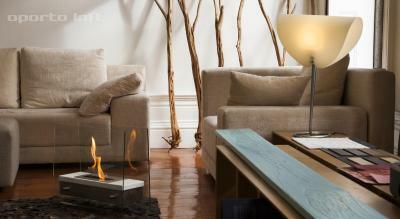 The property itself is large and quiet, a refuge from the road noise, which was ideal after a busy day out. 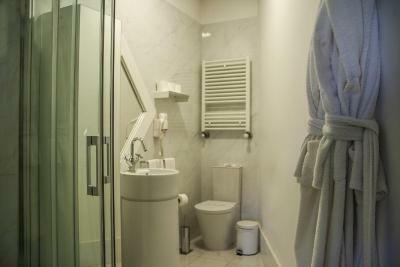 It is close to beautiful park and conveniently located to shops and restaurants. The staff were super friendly and helpful, kind and generous with their suggestions. Very friendly and courteous English-speaking staff. Good breakfast. 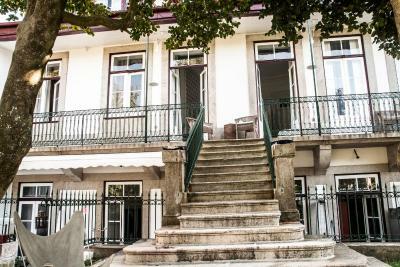 beautiful property in old Portuguese style furnished, wonderful cozy atmosphere, lush garden. nice staff. This place is spectacular. The staff was super helpful and generous with their time and advice. 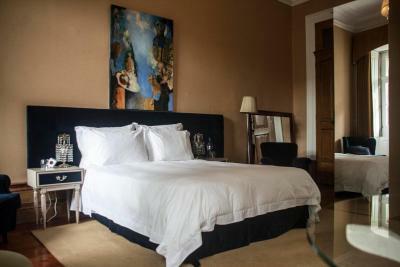 The rooms are very spacious, clean, full of interesting art and wonderful detail. The breakfast was phenomenal. The huge garden in the back is an added bonus. The rooms are very private and quiet. The property is by a main avenue, so it's very safe. It was a very lucky find and will certainly go again. 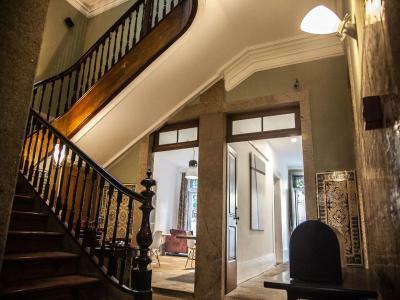 One of our top picks in Porto.Oporto Loft is located in Porto, just 150 feet from the Crystal Palace Gardens and an 11-minute walk from the famed Lello Bookshop and the iconic Clerigos Tower. 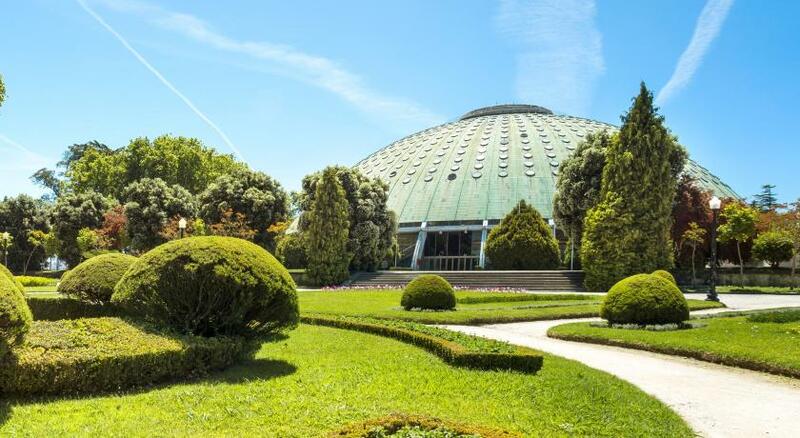 The São Bento Train Station is at a 15-minute walk away. 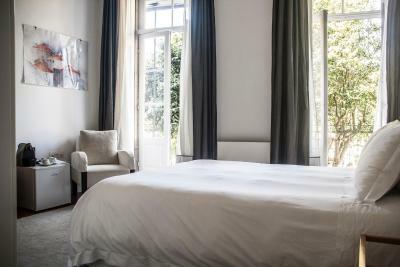 The unit is set on a renovated 19th century building and features themed rooms with a décor and design influenced by traditional and contemporary art. 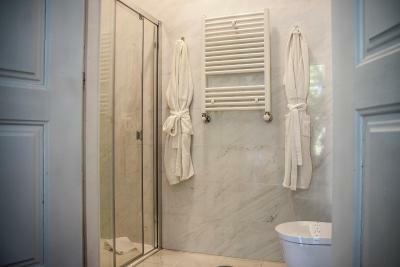 All rooms are equipped with fan coil units, which allow them to heated or cooled. 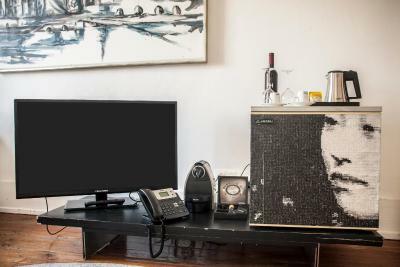 Each features a flat-screen cable TV, mini-bar and work desk. Free WiFi is provided. Local restaurants are available at a 5-minute walk. 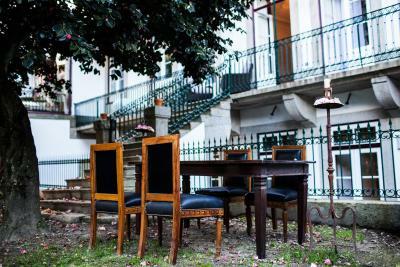 The traditional Porto cuisine is rich and varied, with signature dishes like the famed Francesinha and Tripas à Moda do Porto. The Douro riverside area is a 14-minute walk from the unit. 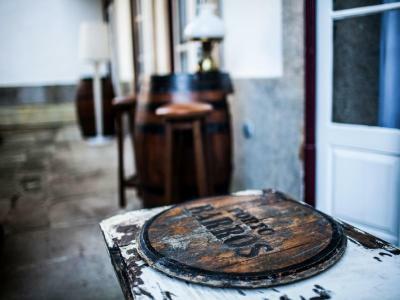 At 1.4 mi is the historical Ribeira, with its various riverfront cafés, bars and restaurants. 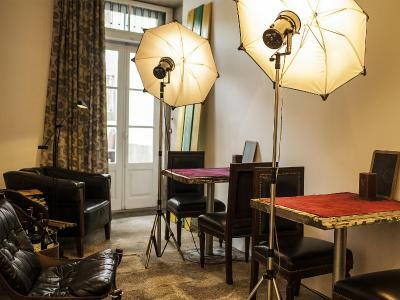 Within a 12-minute walk are the Clérigos Church and the Galerias de Paris nightlife spot, with trendy bars and cafés. Porto International Airport is 9.2 mi away from the Oporto Loft. 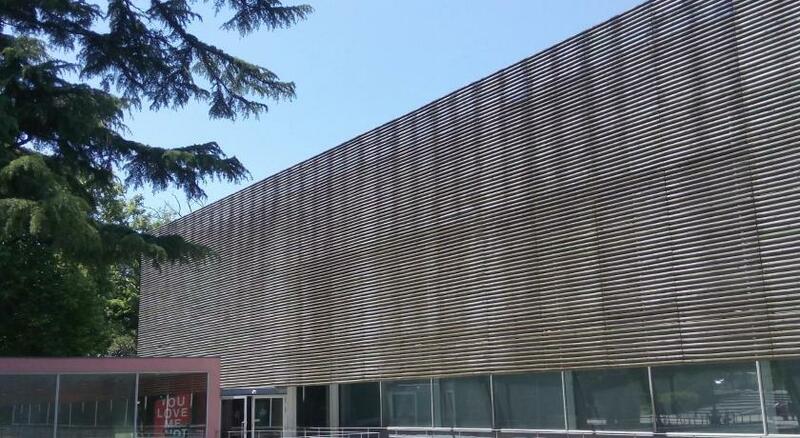 뀐 Located in the top-rated area in Porto, this property has an excellent location score of 9.1! 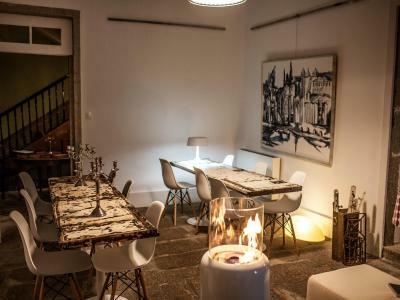 When would you like to stay at Oporto Loft? 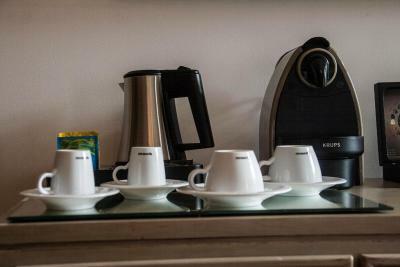 This double room can accommodate 3 people and has a flat-screen cable TV, espresso coffee machine and a work desk. Free WiFi is provided. Please note that this room is located on a 2nd floor with no elevator access. 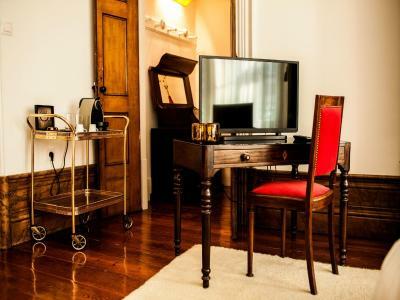 This double room has a balcony, a flat-screen cable TV, kitchenette, mini-bar and a work desk. Free WiFi is provided. Please note that this room cannot accommodate an extra bed or a cot. 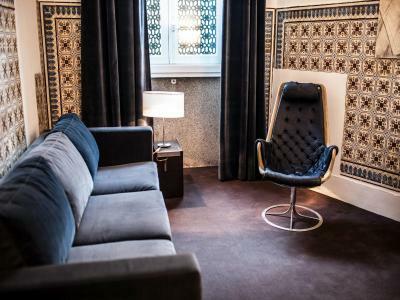 With capacity for 4 people, this suite has a flat-screen cable TV, mini-bar and a living room in the lower floor, with a sofa bed, an extra bed and a work desk. Free WiFi is provided. 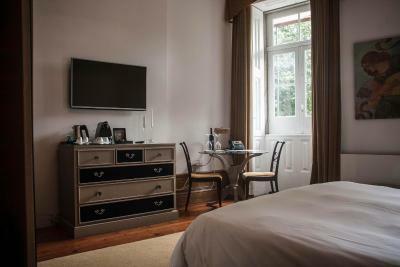 This double room features a flat-screen cable TV, espresso coffee machine, mini-bar and a work desk. Free WiFi is provided. 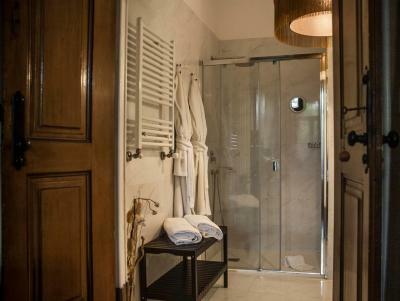 This double room features a balcony, cable TV and bathrobe. This unit has a garden view. 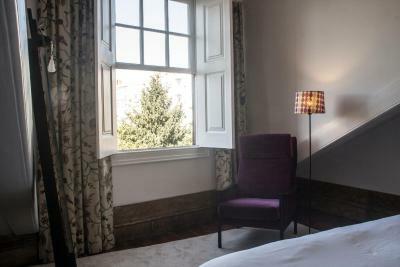 The room features access to a balcony, through the property's garden area. Please note that this room can accommodate 2 adults and 1 child on a crib up to 3 years old. 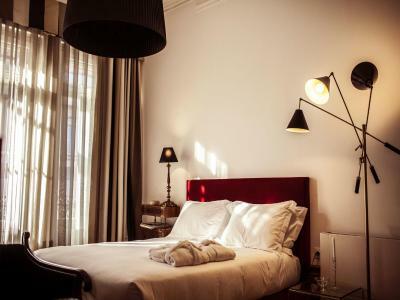 The Oporto Loft Art Hotel is a property of the nineteenth century renovated in 2014 and adapted to stay with all the facilities visitors wishing to stay with glamor and new experiences in Porto. 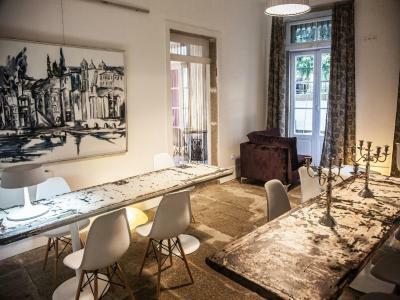 House Rules Oporto Loft takes special requests – add in the next step! Up to two children under 16 years are charged EUR 32 per night when using existing beds. All children under 6 years are charged EUR 32 per night for extra beds. Oporto Loft accepts these cards and reserves the right to temporarily hold an amount prior to arrival. Please inform Oporto Loft of your expected arrival time in advance. You can use the Special Requests box when booking, or contact the property directly using the contact details in your confirmation. Beautiful high ceilings and balcony on to garden. 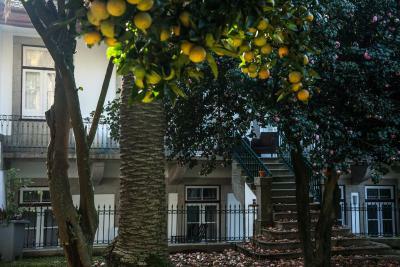 Very welcoming, nicely decorated, excellent breakfast (you can't beat fresh orange juice from the garden tree ! 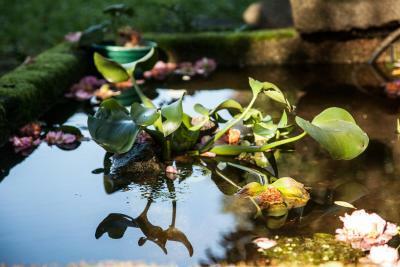 ), even in winter the garden is very nice. 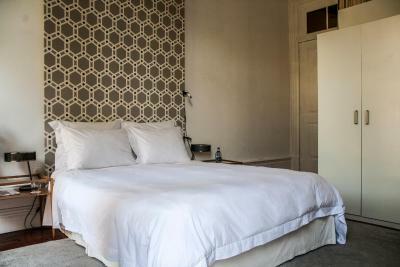 Quality mattress and linen, we slept very well. In general our best location in our Portugal trip ! 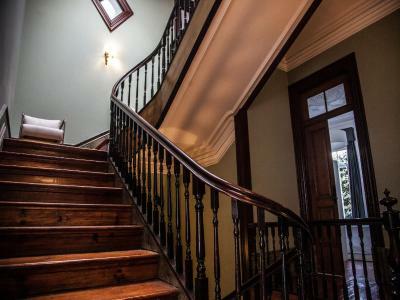 Location is convenient too 10mn walk from the old downtown. Nothing, it was all fantastic. The incense fragrance in the vestibule, but other than that, we enjoyed everything. 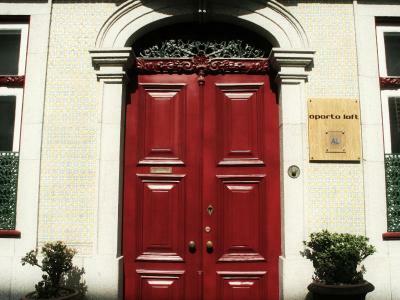 We truly enjoyed staying here at the Oporto Loft. From what we understand, the building was once an office space but is being beautifully repurposed into a charming guest house. We were about a 15 minute walk from the famous Ribeira Square so we had a chance to experience a regular, non-touristy neighborhood. Our host José and his wife have been working very hard to repurpose or up-cycle common but charming items that may have otherwise been discarded. We loved the tables in the breakfast area were recycled wooden doors! Our hosts were accommodating in every way! Jose carried our bags all the way to our room on the third floor for us and we were so very grateful for the gracious gesture since we had been traveling all day to get to Porto and were very tired. Our room was comfortable, unique and oh so charming! We appreciated the double-glass windows that kept the street noise completely out. The shower was a good size and all the soaps/shampoos provided were high quality and smelled wonderful. 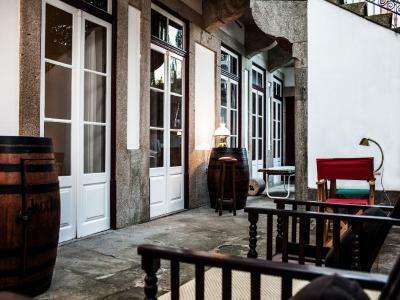 The Oporto loft has a huge backyard that Jose is renovating, so I would definitely recommend this location if you were planning to stay in Porto for several days and wanted a nice private place to relax in peace and quiet. We chose to include breakfast with our stay and everything was not only delicious but beautifully prepared and presented. The breakfast area was comfortable and welcoming. Jose and his wife (I'm sorry I don't remember her name) were very lovely hosts and we would definitely stay here again. The only complaint was parking and we knew it to be a issue before we went, so no big deal. 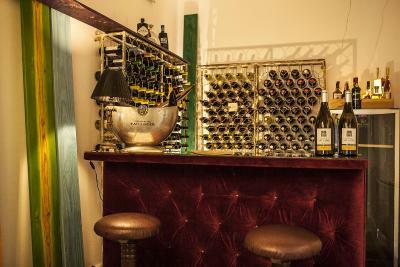 The place was cosy, decorated with taste and very quite. We were 3 people and shared a spacious loft. The hosts are extremmely kind, considerate and ready to help! On saturday at 10 pm, it was completely rainy and windy and we were quite far from the loft. We called José to know what solution he would suggest us as there was no taxi or Uber avalaible. He came 15 minutes later!!! Otherwise, they suggest a very nice breakfast with good products. 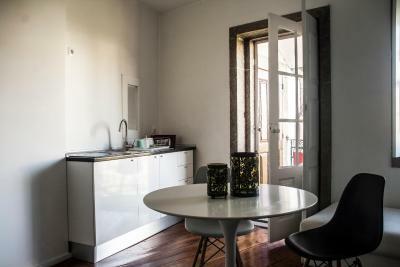 The location is great: 5 minutes from a park (with a view on the Douro) and 15 minutes from the main places. I highly recommand this place! Just more English breakfast tea. Everything else was perfect. Loved the place. Felt like a home from home. 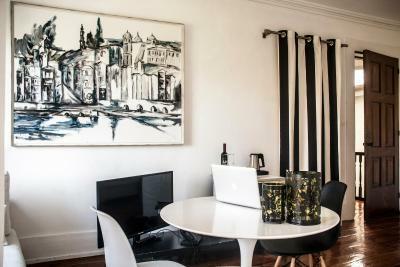 The apartment was spacious, beautifully furnished, charming and stylish. Breakfast was great and so was the service. Lovely grounds, very comfortable bedding and very helpful owners and staff. The room was on the second floor without a lift (but it may be OK as well, since the old houses do not have it). The conditioning worked alternately, so that both the day and the night the internal temperature of the room was sometimes too high. The breakfast is varied, but for two days I did not eat ham and salami because they smelled old. 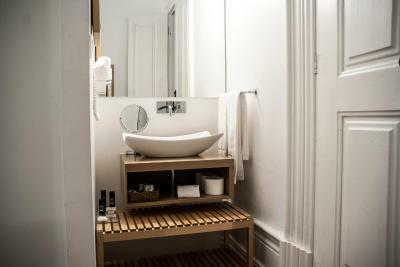 The modern style bathroom is not too functional. In five days the sheets and towels have never been changed. The soap was not renewed, so we had to settle for two to wash ourselves without soap. 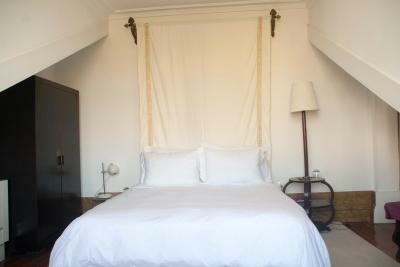 The accommodation, the charm of an old Portuguese house, the reception of the owner and his availability are very good. The room is of good quality. 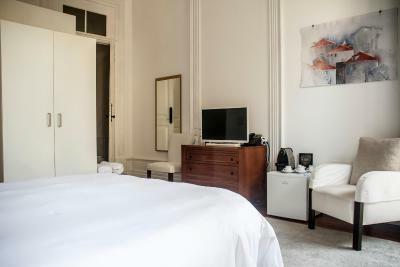 Even the location is very convenient for downtown, even if just outside the historic center. The location is well served by public transport. The shower place was slippery. Please set up the rubbery plate to prevent slipper. Bed was so comfortable like home-bed.